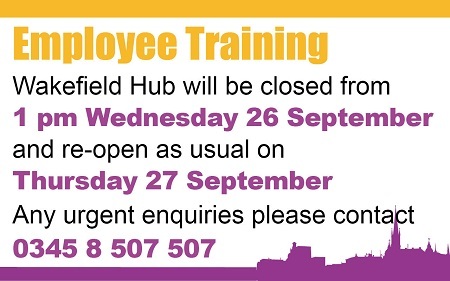 Our service access points (SAPs) and Pontefract Hub will be closed on Thursday 27 September at 12 pm for employee training. 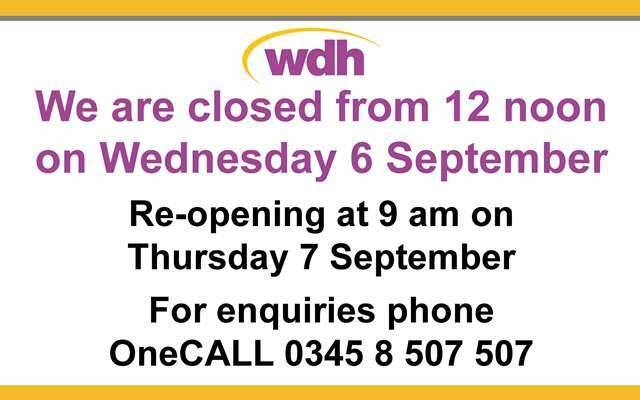 They will reopen on Friday 28 September as normal. Wakefield Hub will be open as normal and OneCALL are available 24 hours a day on 0345 8 507 507 for urgent enquiries about estate management and repairs.